While on dinner break of a $10,000 buy-in tournament at the Bellagio, I listen politely as two high roller regulars discuss a hand. Everything I hear from them is wrong. I'm almost tempted to tell them their logic doesn't matter. Then, I step back for a moment in disbelief. I was playing $0.02/$0.05 on Bovada 18 months ago, and now I'm sitting across the table from some of the best players in the world. How am I even playing this tournament? Did I steal $10,000? Or did I pinch pennies for 18 months just to risk it all now? How I actually got to this point in my life--where I'm properly rolled and strategically equipped to play this tournament--still doesn't seem real. 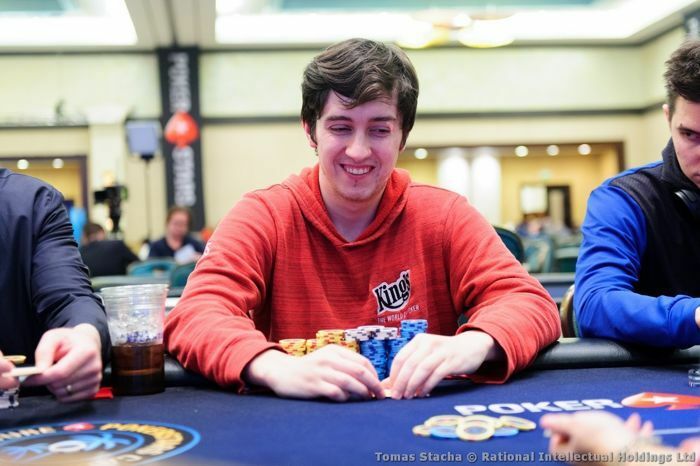 I started my poker career in 2015 as a bright-eyed 19-year-old, and the games were soft. I subscribed to the training sites that all the "regs" seemed to use. I watched countless poker streams on Twitch and PokerStars Live. But I had no fundamentals. I was the second subscriber to the Upswing Lab, and definitely the more skeptical of the two. The upside was unknown, but I was willing to give it a try for a relatively small monthly fee. Two hours into the Upswing Lab content, I was already beginning to discover costly mistakes in my strategy. 3 of these mistakes stand out as absolute game-changers for me. At the PCA with 2 tables left. I was playing way too many hands early in my career. Under the guise that I could make people fold, I was constructing elaborate ways to challenge myself that were entirely unnecessary. This outlook was both helpful and unhelpful. I was expanding my creative horizons as a poker player but was simply burning too much money along the way by opening trash hands. The preflop charts provided by Doug and Ryan in the Upswing Lab were different than what I was used to. For the first time, I stuck to a dogmatic, principled approach and only very rarely did I deviate from the preflop charts. My tracking software demonstrated that, without question, I was winning at least 5bb/100 more than I was prior to following the Upswing preflop charts. These hands aren't necessarily always ahead but betting will generally deny equity in addition to building pots when we have the best hand. I was betting these hands far too frequently before I subscribed to Upswing. For most poker players, this range exists as a vague category filled with arbitrarily-chosen bluffs. I went from bluffing too often to actually not bluffing quite enough when I first started organizing my hands into categories, but I feel that it only took around three months to fully grasp this portion of the strategy. The line between these and the Category 3 hands takes some effort to identify. For instance, the difference between your hand in terms of categories can be as small as the suit of one of your cards. Very few other players, outside of higher stakes games, were following this or a similar approach. I would bluff with every hand in my range on certain board textures, while never bluffing on others. In 2015, I would open from the hijack with a hand such as , the flop would come rainbow and as the board ran out turn , river , I would find myself needing to bluff. That's when I noticed another leak, this time in the strategies of my opponents. This bluff is simply not efficient. With no equity to improve on the turn and river, the population is going to make money against us just by calling down with their strongest hands. If they ever re-bluff or call down too light (as they tend to do at low stakes), this bluff is burning money. Once I plugged these "leaks," I addicted myself to Upswing content and watched every live stream Doug Polk and Ryan Fee provided. 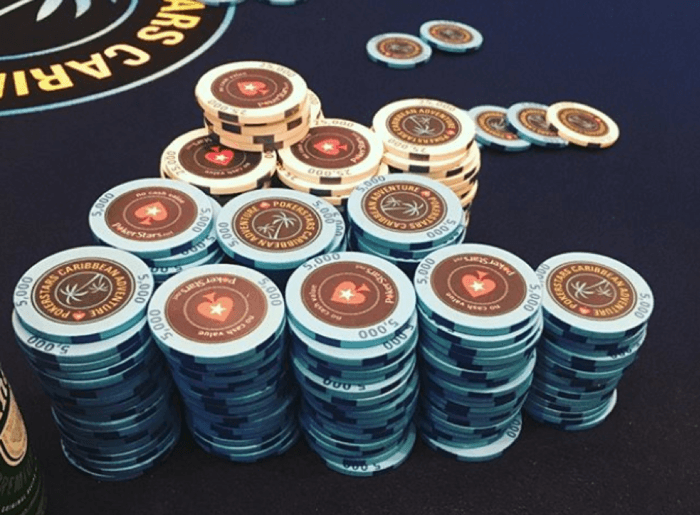 I became a winning player at $400NL cash games, but it was still unclear whether this success would translate to tournaments. By 2017, I was rolled to play large buy-in live tournaments for the first time. That's when I noticed another leak, this time in the strategies of my opponents. Perhaps surprisingly, I saw people in these fields relentlessly wasting thought-energy by looking for live tells. And oh man, did they look for live tells. We're talking tourist-style tells. It reminded me of that scene in Rounders where they battle a never-ending stream of tourists during an overnight session at the Taj Mahal. If you're considering poker properly, spending thought-energy on live tells is a massive waste. At $2/$5 live, I would expect to catch maybe one reliable physical tell every hour. In high rollers, live tells just aren't really a thing, and looking for them is almost certainly a waste of energy. That said, I have fallen for a reverse tell in a $25,000 tournament. I felt so owned! As I played more tournaments, I borrowed principles employed by top players like Isaac Haxton, Pratyush Buddiga, and Sergio Aido. Ike has a fairly sophisticated system for randomizing his decisions. Pratyush incorporates "larger picture" aspects of tournaments into his thought process in the most efficient manner I've seen. Others who are closing the gap between good and great include David Peters and now Daniel Negreanu, whose coaches follow the Upswing strategy, for the most part. 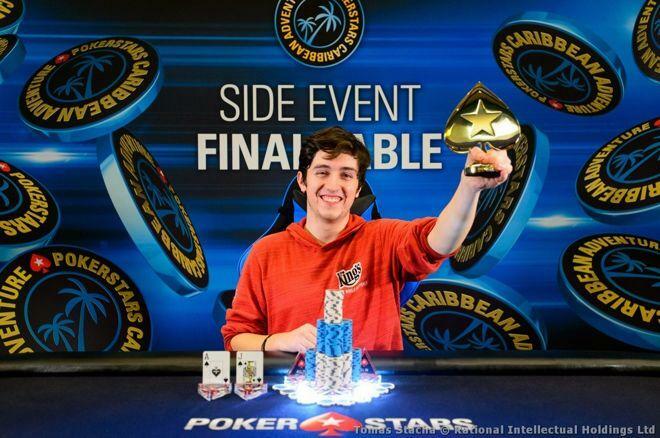 When I won the $10,000 buy-in Turbo at the PCA, I was ecstatic. The field looked tougher than I would have liked, but my friends were complicit in convincing me that I had an edge. My $10,000 High Roller stack going into 4-handed play versus Ryan Riess, Mustapha Kanit, and Matthias Eibinger. In that tournament, I noticed a lot of the players were opening too wide in most spots, so I was able to gain lots of chips early by targeting their weak ranges. I ended up winning a flip with 11 left in the tournament, and from then on, was able to catch some heat and ride it to a win. For me, the benefit of knowing my strategy has sound fundamentals has catapulted me above stakes I ever imagined when I began my poker journey. Without studying fundamentals every single day, I don't think I would have made it in poker. Without the encouragement of my friends, I might not have made it. Seriously, I have some of the most thoughtful friends in the game. I can't thank them enough for how they have helped me progress. Without some well-timed run good, I might not have made it. But above all, without studying fundamentals every single day, I don't think I would have made it in poker. I owe a big thank you to Upswing Poker. Access expert strategies for cash games and tournaments inside the Upswing Lab here.